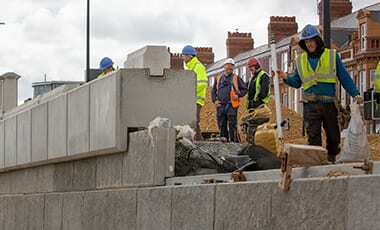 The construction of a prestigious canal side development on the edge of Hackney Wick in east London is on schedule thanks to the flexibility and customer service of Poundfield Products. 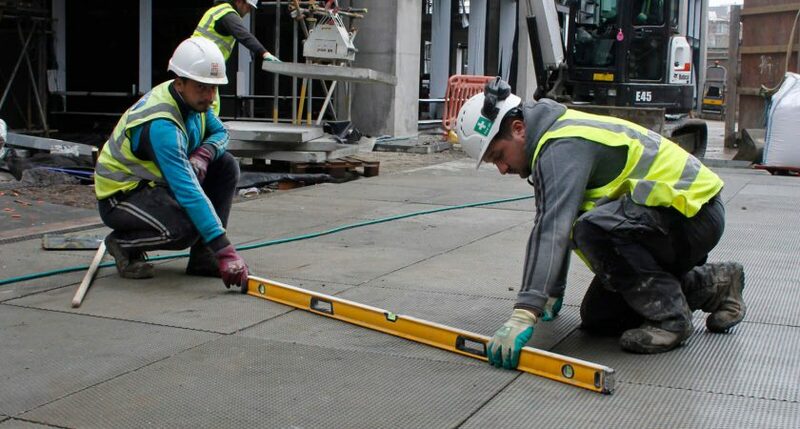 We have been hired by Longwater (South East) Ltd to supply them with 2500 bespoke paving slabs to cover over 2000m² for pavements and open spaces for the prestigious Fish Island Village project, which will comprise dozens of one, two and three-bedroomed high-quality apartments. 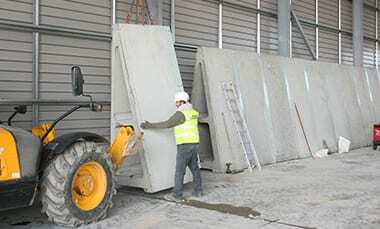 To date over 300 slabs have been delivered to the site for installation, with more due over the next few weeks. Although Essex-based Longwater considered purchasing the moulds and patents for the various designs, they opted instead to use us because of our proven reliability and quality of manufacture. 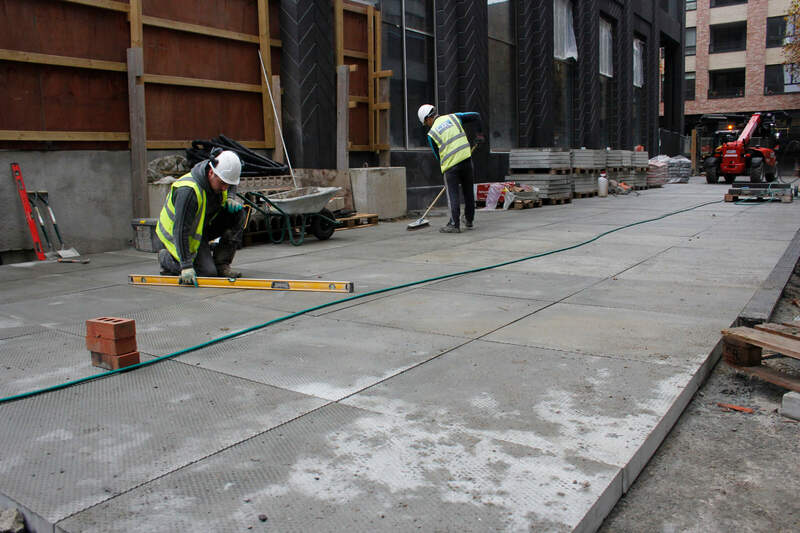 Graham Turkentine, Longwater’s director, said: “The slabs need to be manufactured to a high standard and delivered to Fish Island Village on time in specific batches so as not to delay the rest of the project. 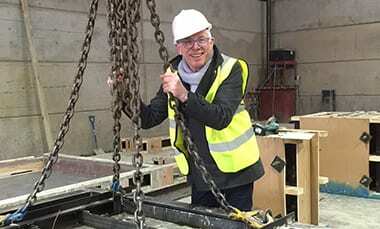 Tim Evans, our director of bespoke products, who managed the manufacturing process, reflected: “Because of the variability as to when the granite is being delivered, we know we have to be on constant standby and ready to manufacture the decorative finish precast paving slabs as soon as each consignment comes in.